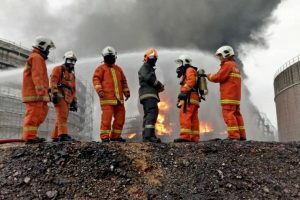 BEIJING (AP) — At least seven coal miners were killed and 13 left trapped after a shaft flooded at a mine in northern China, state media reported Tuesday. More than 600 rescue workers were pumping water and drilling holes from the surface in hopes of reaching those still inside the Jiangjiawan mine near the city of Datong, the reports said. State broadcaster CCTV said four of the 17 miners originally reported as trapped were rescued on Tuesday afternoon. 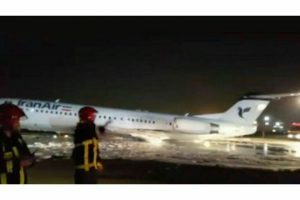 The bodies of those who died were retrieved Monday evening, the reports said. A total of 247 miners were underground when water rushed into the shaft Sunday evening. Of those, 223 people made it safely to the surface. Such accidents are usually caused by breaches of abandoned shafts where water has collected over time. China’s notoriously dangerous mines have seen a declining number of deaths in recent years because of safety improvements and a falling demand for coal as the country’s once-sizzling economy cools off.